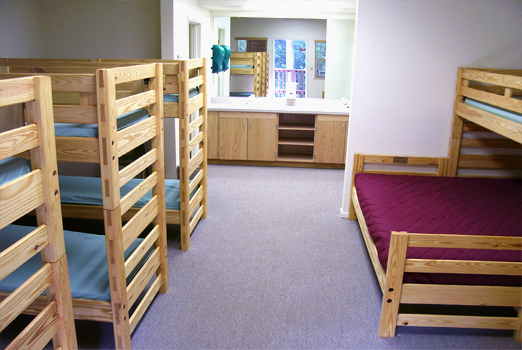 This beautiful newer facility offers a comfortable lodging option for families, couples, youth and adults of all ages. Centrally located within a short walking distance of the dining hall, chapels, and the gym. 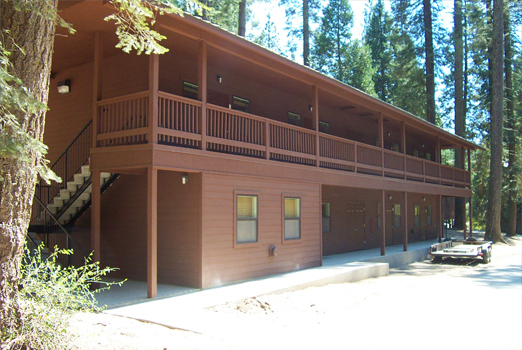 This facility is listed in our rates at the same rate as Semi-Deluxe lodging or Eagles Perch. Each room features a private bathroom, shower, and two sinks. 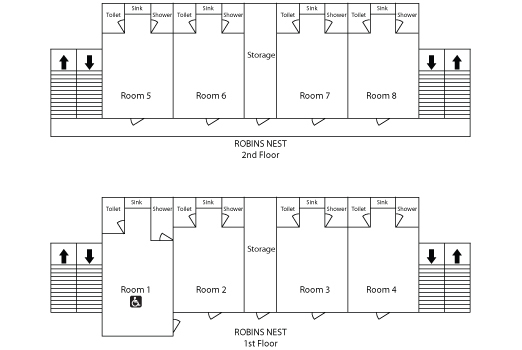 Room number one is wheelchair accessible.